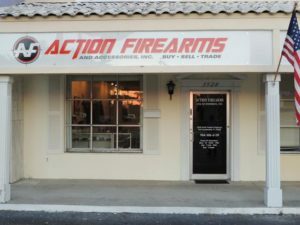 About Action Firearms And Accessories, Inc. - Action Firearms and Accessories, Inc.
About Action Firearms And Accessories, Inc.
Action Firearms and Accessories, Inc. is conveniently located in Fort Lauderdale, Florida on Federal Highway, just one block North of Oakland Park Boulevard on the East side of US1. 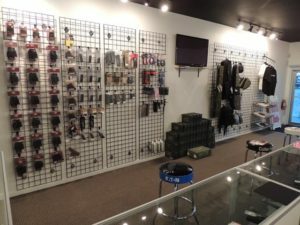 Our shop has a great selection of firearms and accessories to choose from. Some of the manufacturers we carry are: Colt, Smith & Wesson, Sig Sauer, Glock, Heckler and Koch, Ruger, Kel-tec, Springfield, and Mossberg to name a few. Whether you live in Palm Beach County, Dade County or out-of-state, we will ship any firearm to your closest FFL dealer as long as state laws comply. We have customers coming in from all over South Florida since we are conveniently located in Broward County; places like — Boca Raton, Deerfield Beach, Pompano Beach, Coral Springs, Margate, Coconut Creek, Tamarac, Hollywood, Miami and many more! They make the drive for our great prices and awesome inventory, come check us out just once! We promise you will return! If you are looking to buy new or start a custom project we can help. 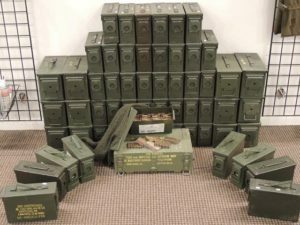 We also do trades and transfers, offering a great selection of pre-owned guns. 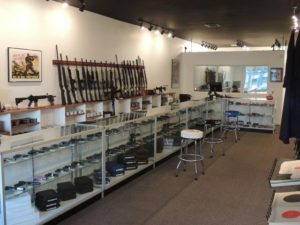 Whether you’re a first time gun buyer, or an avid shooter, you will love our friendly and knowledgeable staff at Action Firearms and Accessories, Inc. We are dedicated to making your shopping experience with us a pleasant and informative one.